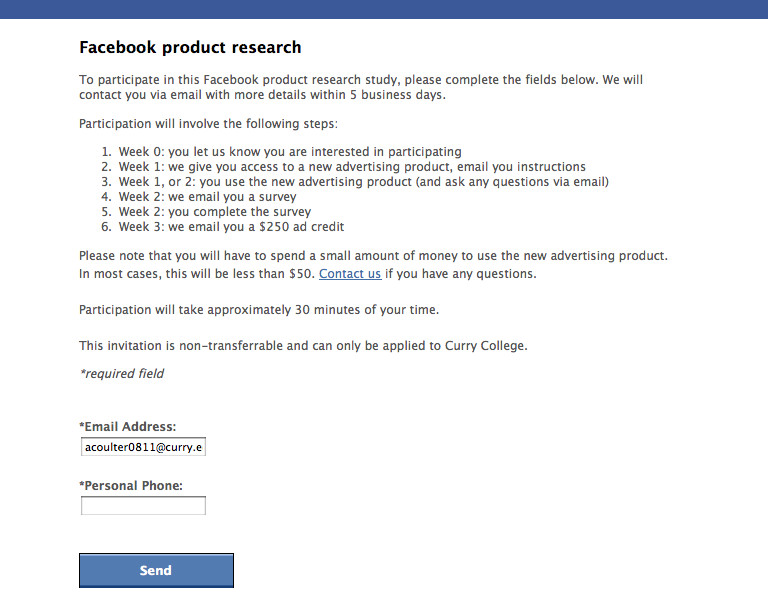 As Social Media Specialist at Curry College in Milton, MA, I manage a bunch of Facebook Pages and was recently presented with a cool opportunity from Facebook to participate in a product research study (applicable to just one of the college’s pages – the main, institutional one.) 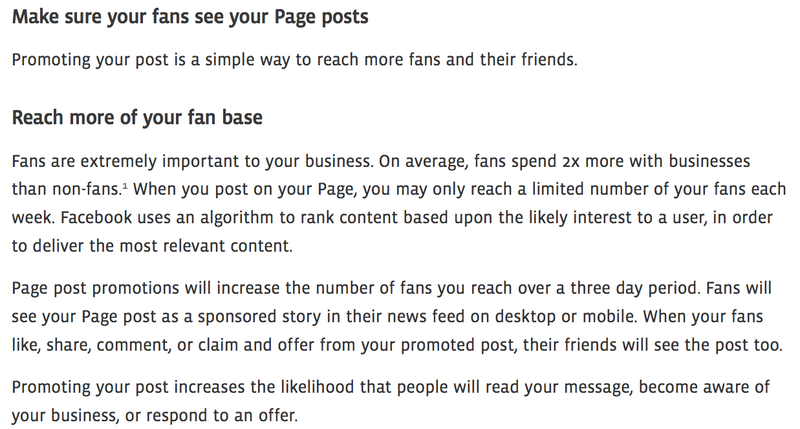 I have dabbled in using ads (mainly ‘Sponsored Stories) on the site, and have experienced solid results driving page likes, and by participating we would receieve a $250 ad credit – a no brainer. Plus I was curious to use the new ad product. Full Promoting Posts PDF Guide. We had Commencement coming up fast, so I worked with our graphic design department to create a jpg. announcing how our community could use social to interact with each other, friends, family and staff during the ceremony and that we could then post and “promote.” At that time we had been reaching on average 600 people per post (I just created the page in September 2011). So, I promoted the post for $5.00 and monitored closely (you can promote a post that you’ve created within the past 3 days just by clicking “Promote” under the post.) The promotion runs for 3 days automatically and you can pause or stop the promotion of the post (which can be photos, status updates, offers, videos and questions) before the 3 days are up. From what I saw and was told the promoted post is pushed into more newsfeeds than normal of a pages’ fans and for people interacting with the post (liking it, commenting, sharing etc. 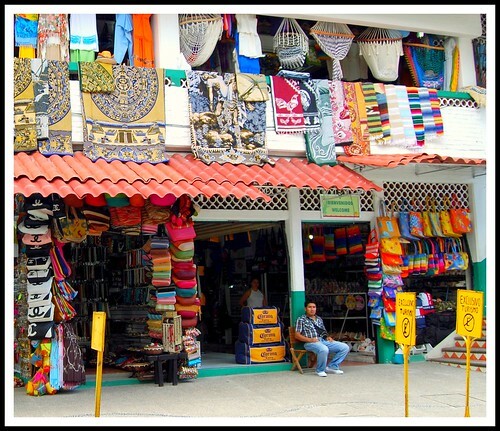 ), into more of their friends newsfeeds – thereby increasing awareness and hopefully, Actions. Importantly, when being served up in the newsfeed it’s fairly subtle that it’s a promoted post, as the only sign is the word “Sponsored” displayed under the post. Also, the post becomes a “Sponsored Story” being displayed in the right hand column with your friend’s names who liked it, commented on it or shared it attached. So, as you can see we reached more people than average (although, this bump might be explained by Commencement being our biggest event of the year, and the social media call to action) – but Facebook also provides a couple other cool metrics by which to judge the campaign’s success – Click Through Rate (CTR) and Actions. I was happy with the 9.555% CTR and can see promoting an interesting post that points to your website working quite well. In terms of the 33 Actions, I wasn’t as happy, as we’ve experienced many more than that organically on a similar photo post. At the end of week two I was emailed a brief survey, completed it and was indeed sent the ad coupon code. So, all-in-all I was happy to have participated and if/once this ad product is available for all, I would try it again (especially to see how successfully it works driving folks to our website or a landing page). What do you think? 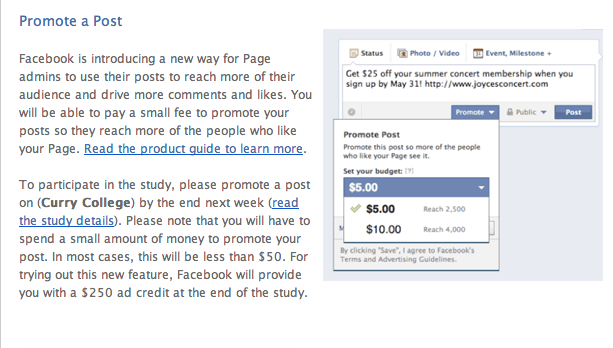 Are there negative implications for a brand paying to promote one of their posts? Note: I posted the pre-commencement social graphic normally (not using the ad product) one day before promoting it, so the slight discrepancy in likes, comments and 1 share shown in the screen shot above is due to this fact. The total 33 Actions is just for the campaign. 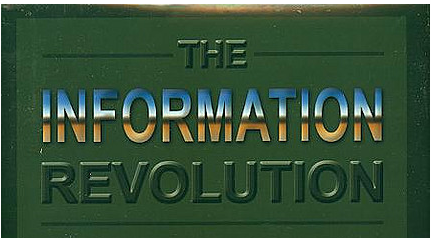 Is it possible to capture how much the information revolution has changed our world? I was just listening to the weekly radio show On The Media (June 17th 2011 episode), when I heard a segment about the FCC’s recently released 360 page report that OTM calls “one of the most comprehensive overviews of the US media ever produced,” and in its scope, certainly attempts to answer the quote above in the affirmative. The report, authored by the segment’s guest and head of the project Steven Waldman, is titled The Information Needs of Communities: The Changing Media Landscape in a Broadband Age.” The project and subsequent report is the product of over two years of work and “600 interviews and workshops held all over the country,” and the findings in my opinion are vastly interesting. I therefore wanted to share the full report and some of its salient findings with you. Neither old or new media seem to have the resources to hold government accountable (i.e. local accountability reporting.) For example, the report states that 27 states have no reporters in the nation’s capital. Even as information blooms online, journalism’s crucial function as a local watchdog has been stymied. As technology offered people new choices, upending traditional news biz models and causing massive job losses (approx. 13,400 newspaper newsroom positions in just past four years,) gaps in coverage have been created in which even the fast-growing digital world has yet to fill. At a time when digital media is empowering more and more people, there is a countervailing trend occurring where citizens are shifting power to institutions because institutions (govn’t, companies etc.) are in a better position to drive the story-lines. Far from being nearly extinct, the traditional media players (i.e. TV Stations, Newspapers) are the largest providers of local news online. Individual citizens need to be thinking about this issue as an important part of building a better community and better country. After reading please come back and add your comments below as to what you think of the FCC’s report. Thanks! Add Conduit for Communicators to your favorite blog reader! As we continue to barrel toward a world operated almost completely by digital technologies – and the very real possibility of a collective future that offers untold possibilities for “social, economic, practical, artistic and even spiritual progress,” as Douglas Rushkoff recently wrote, many academics, sociologists, marketers and technologists are offering their take of what this all means for humanity (and therefore business), and what avenues we should or shouldn’t then take. And of course, the Internet, and how we interact with it (and how it interacts with us), resides in the center of this discussion/debate. For a quick rundown see: Sherry Turkle, the Director of MIT’s Initiative on Technology & Self; author and journalist Nicholas Carr; author, teacher and consultant Clay Shirky, and media theorist and author Neil Postman. This whole debate fascinates me and as citizens living through this transformation era I think that we should be absorbing and thinking about ALL views – not just the ones we are apt agree with. On a related note, and the impetus for this post, I was recently listening to an audio interview with MoveOn.org’s former executive director Eli Pariser on the daily tv/radio news program Democracy Now! and I heard something quite interesting that I will mention in a minute. What is the Internet Hiding From You? 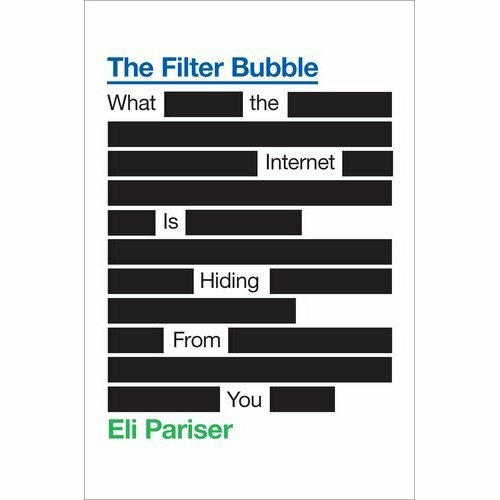 Pariser was on the show to be interviewed about his new book, “The Filter Bubble: What the Internet Is Hiding from You.” His thesis, in a nutshell, is that the Internet is increasingly becoming an echo chamber in which sites tailor info according to the preferences they detect in each viewer. As an example he talks about two of his friends who both google “Egypt” from their respective computers and get two vastly different results – one about the protests and revolution and the other receives travel-related search results. He posits that Google uses accumulated data from these two friends to deliver the results on Egypt it thinks they will click on – with the reason being more page views and ad dollars. Therefore not everyone receives the same results and a case can be (and is) made that Google is diverting from their original philosophy and algorithm that users and their pointed links to sites are the arbitrators of authority and therefore, determine the best, most useful search results. But what really caught my attention is what Pariser begins to discus about 38:30 into the show in relation to this perceived echo chamber (conformational bias) phenomenon and the social networking giant Facebook. He talks about the fact that the way info is passed around Facebook, and therefore consumed by the community, is through the “Like” button. Therefore, “Info that is “Likable” gets transmitted, information that is not “Likable” falls out” he adds. His suggestions to begin to remedy this and take back some control? 1). We need to be aware of whats happening, in terms of these filters operating invisibly i.e. 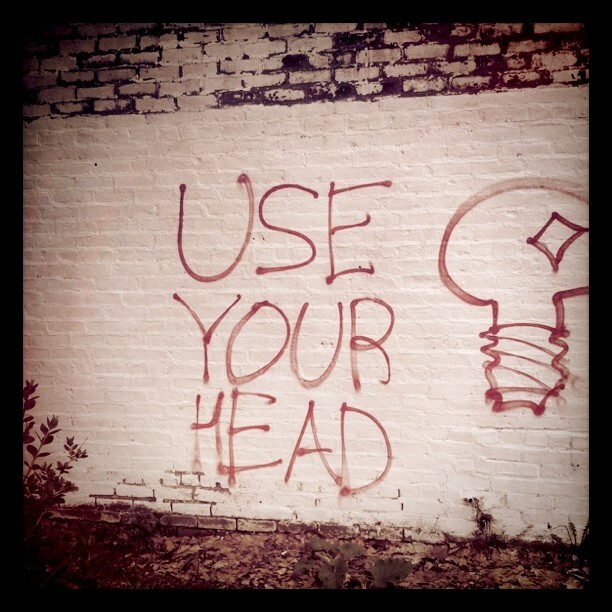 “Use Your Head.” 2). And the idea that inspired this post – a grassroots campaign to develop an “Important Button.” This would be a way to signal that something is not only “Likable” but also important. And consequently, and most important, different, more varied information/stories would then began to be viewed and consumed by more people. So, what do you think about an “Important Button?” I think its certainly an interesting and viable idea and would love to hear your thoughts in the comments. I was recently turned on to Douglas Rushkoff by a tweet sent out by Mitch Joel, of the highly regarded blog Six Pixels of Separation. Being a recent graduate student in communications and new media, and an ardent admirer of Marshall McLuhan, I was thrilled to find his work. Rushkoff, an “author, teacher, and documentarian who focuses on the ways people, cultures, and institutions create, share, and influence each other’s values,” is a brilliant speaker and a master when it comes to making media theory accessible. 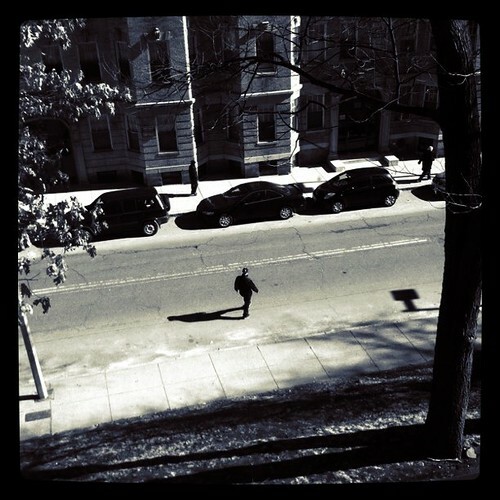 His ideas on digital technology and our resulting ability to be participant human beings in a digital age are striking. Therefore, I decided to re-post his November 10th, 2010 talk that he gave at Google. I highly recommend watching the whole thing. But if you feel you can’t watch it all at once, skip to about 17:25 in the video when Rushkoff discusses the fact digital technology has a “bias” towards time. You’ll be glad you did! My friend of 10 years Richard, a 45 year-old hard-working, loving father and auto mechanic from Charlestown strode across the street to his car, leaving early for a 8:00am meeting with his lawyer. This was to be their first meeting. Once at the office Richard and his lawyer, a 27 year-old just out of law school, began to hash out an intricate legal strategy, one with the ultimate goal of receiving full custody of Richard’s two children from his alcoholic-gambling ex-wife Linda. Linda hasn’t worked in years and leaves the children, aged 10 and 12, home alone frequently while going to Foxwoods with her boyfriends to gamble away her child support check. Richard loves his children dearly and works 60 hours a week at the garage just to make ends meet and to provide for them. He does this even though he knows the money goes to liquor stores and into the casino safe instead of into his two kids’ bellies. So, Richard and his lawyer meet every Tuesday at 8:00am for the next 6 months. During this time Richard gets up at 6:00am and goes to work at the garage for a hour or so before heading to his lawyer’s office in Jamaica Plains to plan out next steps. Linda stays in bed until noon, letting her kids get themselves ready for school and consequently, wait for the bus alone on the corner. While they get on the bus in the rain Linda is puffing on her third cigarette of the morning. Linda also has a lawyer (subsidized by Richard’s child-support check) who is the typical pony-tailed, expensive-suited litigator with an office on State Street, who pulls out all the stops and plays nasty just to win. He has 25 years experience though with numerous investigators working for him. And he wins his cases. The conflict between Richard and Linda continues, both in court and when Richard goes to pick the kids up every other weekend. At the end of the 6 months, and after much hard work and scrapping together (through borrowing and pleading for overtime) money to pay his less experienced, but ethically stout lawyer, Richard wins full custody of his kids. The more experienced lawyer is beaten down and Linda is remiss for the loss of the child support check. The children love their father and are happy to finally be able to live with him full-time. all meaningful communication is a form of storytelling or giving a reporting of events and so human beings experience and comprehend life as a series of ongoing narratives each with their own conflicts, characters, beginnings, middles, and ends. And the way in which people explain and/or justify their behavior, whether past or future, “has more to do with telling a credible story than it does with producing evidence or constructing a logical argument.” And to believe in other people’s “stories” the same must hold true. Where credibility = a coherent narrative structure (e.g. the story tells us that Richard loves his children, and then depicts him fighting for them at great personal sacrifice), and also the story has to resonate with the listeners’ values, beliefs and experiences (e.g. ethics and morality will win over immorality and playing nasty). Instead of mainly basing our decisions on logical, rational arguments (e.g. because Linda’s lawyer is more experienced than Richard’s, Linda will surely win the custody battle), Fisher posited that we humans make decisions based on history, culture and perceptions about the status and character of the other people involved in the narrative. So, while reading the account above, thinking about your experiences and picturing hard-working Richard and lazy Linda with her immoral lawyer, did you happen to forsee the ending? You probably did. You’re smart like that. Plus storytelling is engrained in your DNA. What The Heck Does This Have To Do With Marketing Communications? Well I’ll tell you. 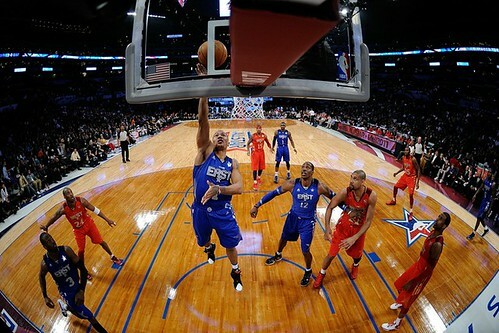 “Audiences are interested in the real stories, experiences, dilemmas and issues confronting us in 2011. It has to feel relevant to them,” says Charlotte Moore, the commissioning editor for documentaries at the BBC. Telling true stories well, as alluded to by Moore and discussed in the book Content Rules, powerfully connects a brand to its customers/community/prospects – in a meaningful way. And telling true brand stories well entails everything I mentioned above – including conflict, resolution and of course the hero who comes to the rescue and solves the problem(s). For example, narrative coherence would begin with a city-based university’s message to prospective applicants and their parents that they are there to solve all concerns students and their folks may have related to moving in and living on a “campus” in the city, and that ultimately the university cares about the student. Then they would cement the narrative coherence by offering a social channel like Twitter in which to provide insights and relevant info to students/their families and provide video/pictures that vividly illustrates what the dorms look like and where incoming freshman will indeed live. Telling true stories well also entails communicating a brand story that resonates, for example, with the students and their parent’s values and experiences. Of course to make this all jive marketers and communicators have to first hear (listening as action) the people they are attempting to connect with and then weave these insights into their communication(s) and story. Throughout my collegiate career, studying both journalism and PR, I have found that the best way to learn about (and retain) complex and even not-so-complex ideas was to be provided with real-world, pragmatic examples (obviously, an even better route is actually taking part; i.e. experiential learning). But nonetheless, for our present purposes lets discuss the power and clarity of real events/life as examples when it comes to understanding and learning. When we were studying heavy topics such as journalistic law and ethics, the confidentiality of sources and the federal shield law, our kind professor at U-Mass spent a good amount of time discussing Judith Miller and the leak of Valerie Plame as a CIA agent. This real-world example/event contained vivid lessons of the importance of the freedom of the press, the fundamental role the confidentiality of sources plays in journalism’s ability to function as the “watch dog,” and it even illustrated the issues that arise from the mixing (i.e. conglomeration) of corporations and the press. I learned a lot. I know from my own experience and casual reading of blogs and articles that the world of digital marketing planning and execution, specifically the steps involving the setting of objectives, strategy and tactics, is a bit murky and can become hard to order. And therefore it ends up detrimentally affecting the overall initiative/campaign. So, how about a real-world example to shed some light on the differences between marketing objectives, strategy and tactics? This will also hopefully illustrate how these planning steps fit in and build off of each other to equal an effective initiative or program. (I do recognize that there are more steps involved, such as timescales and evaluation, but I want to concentrate here on what I see as the most misunderstood aspects of the planning and managing process). As I was watching COPS recently I began to think about the major goal that the two partners had (“making it home safe at the end of the night,” as one cop said), and how they worked to achieve it. I’ll define the objective “making it home safe” as walking through their own doors at the end of their shift, having incurred no personal injury. Soon, I recognized that this specific example would perhaps make the topic of marketing objectives, strategy and tactics a little bit clearer. Lets begin with the two cops’ objective. As I mentioned above, these two cops want to make it home safe after willingly immersing themselves in danger all night. Stakeholders/Publics (Who do they talk to/and who can affect their objective? Criminals, victims, witnesses, the general public. These are all groups of people that define what the police do and can affect the two cops’ objective of making it home safe. Much analysis and research has been done and statistics are available for police brass to consider when developing the protocol (e.g. use harsher methods/communication with criminals than witnesses) that deals with these groups while on the job. An example of how these stakeholders can affect the objective: The two police officers finally are able to enact a traffic stop after a suspected bank robber leads them on a 90mph chase over 10 miles. Then instead of listening to police commands to lie down face first, the criminal makes a beeline for the nearest bush to hide in or fence to jump over (this example will become clearer in the tactics section, I promise!). By running the criminal puts the cops’ objective at risk. As the cops chase the criminal a neighbor could mistake them for burglars, they could get hit by a car or the suspect could all of a sudden spin around and brandish a weapon etc. Therefore, the cops want to lessen the chance for this uncertainty, this lack of control to occur. Which leads us perfectly to the content of the initiative. Remember that devising the content of an initiative or program is very specific to the individual situation. For our present example the nature of the “initiative” is mainly one of information (one-way messages with little to no dialogue but that still persuades), so an example of a real message here is “For our safety we are putting you in handcuffs. You are not under arrest.” See how this may influence an individual to comply and importantly, how it’s related to the cops’ main objective? Here is a link to a pretty decent deck that covers developing simple campaign messages. They act proactively and ask questions only after first squashing the threat. Open communications is key. The issue is safety (even for the criminals themselves), so all actions taken should lessen, in some way, the possible danger to the two cops on their beat and to the general public. So how do the two cops implement this strategy? Tactics is how. As I alluded to earlier in the content section, if there is any inkling of danger or uncertainty the handcuffs come out first, then the cops question and search. Questioning and searching are also tactics meant to ensure a safe environment for everyone involved (and specifically, for the two cops). If the cops have information of a serious crime having taken place earlier by a suspect and/or the stop poses a significant risk to the police for any reason (e.g. a weapon is seen), our two cops will enact a “high risk” or what is termed a felony stop. This is different than a “regular” stop because of the tactics used – the cops will pull their gun before approaching, they communicate specific verbal commands and radio the dispatcher of their intent to perform the “high risk” stop (i.e. open communications). 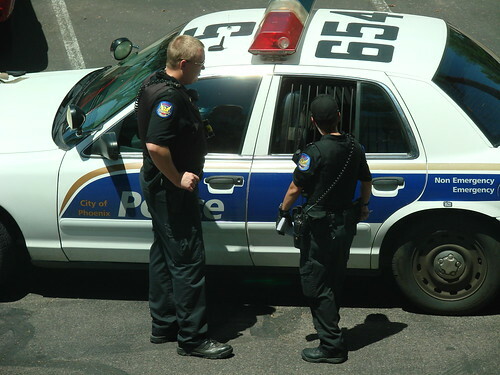 The use of the radio: communicating openly and at all times where they are and what actions they are taking is a tactic that is meant to ensure the two cops get home safe. For example, the two partners run into a suspect who they can’t control. They radio dispatch who sends in reinforcements who then help the two cops subdue the criminal, hopefully without anyone getting hurt. Ask everyone for identification. Its safer to know who you’re dealing with right? The use of canine (K9) officers to go in and disable the threat. The use of dogs also prevents the two cops having to rush in themselves to dangerous situations and it then improves their chances of making it home safe. Hopefully this real-world example has shed some light on the difference between objectives, strategy and tactics and has illustrated the interrelated nature of these salient steps that go into a marketing/PR initiative or program. Do you have any other real-world examples that have helped you understand and learn? Wow, the interactive marketing space is getting cooler day-by-day. If you turn your head just for a split second, you’re bound to miss some new combination of digital media and deep community listening that spawns an awesome customer experience. I just came across a post by lostremote.com, a site dedicated to social TV coverage, that illustrates just such an example of how to go about creating an impressive and interactive customer event. 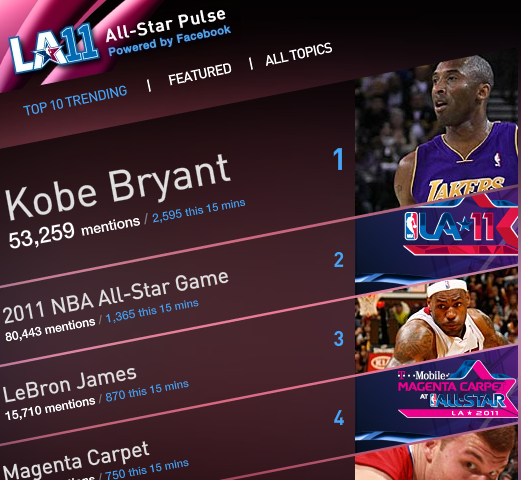 The picture directly above corresponds with clicking on the “2011 NBA All-Star Game” tab, which pulls up a topic page, and gives you the total mentions of the phrase, Facebook user mentions and it even drills down to provide mentions of the game per hour and per minute. Besides this, you can watch keyword-related videos, check out pictures of the game and read the latest articles and blog posts – (categorized by each.) Pretty sweet huh? I can see other organizations harnessing Facebook’s massive people-powered engine to create more of these branded experiences. How about a “pulse” for a new Victoria’s Secret product launch? 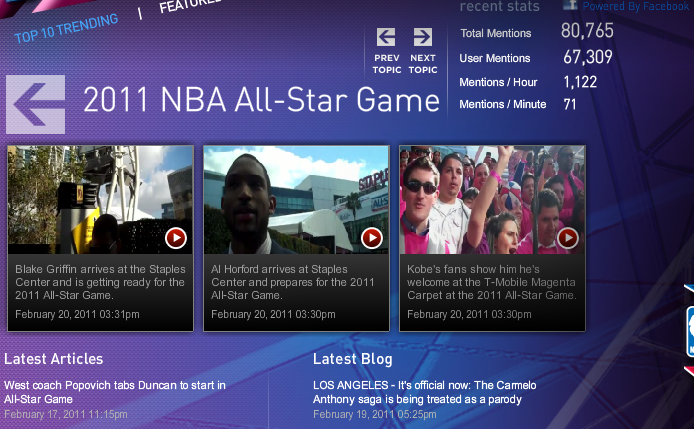 Or perhaps a Facebook powered, real-time site for the Apple iPad 2 announcement? I would also offer that besides digital marketers, journalists can get in on the action by using/visiting these sites after and during an event/campaign to pull real-time stats and get context and media for their related articles. What do you think are some future uses?